Jewelry is the icing on the cake, when completing an outfit. A sparkling ring, dazzling earrings, band of bracelets or statement cuff can literally be the cherry on top when completing a look. Recently brooches have made a stunning comeback in regards to fashion, as witnessed on the runway from top designers. With the holidays approaching, these beautiful works of art will be a great addition to a coat, cape, wrap, scarf, sweater or blazer. Beautiful jewelry does not have to be expensive. 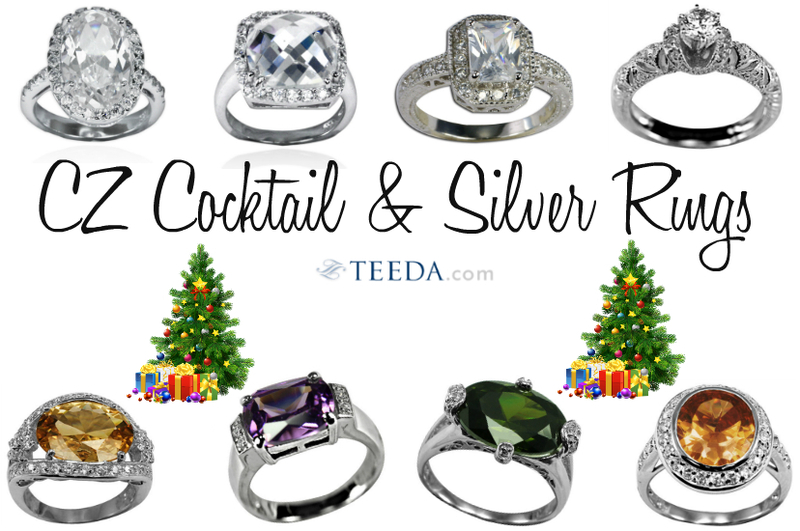 Teeda.com has a large assortment of pendants, rings, earrings, chains, charms & bracelets to satisfy your jewelry needs and add some sparkle to your holiday wardrobe. They also carry specialty items such as pins, toe rings and ear cuffs. Silver jewelry also works well as great Christmas gifts! 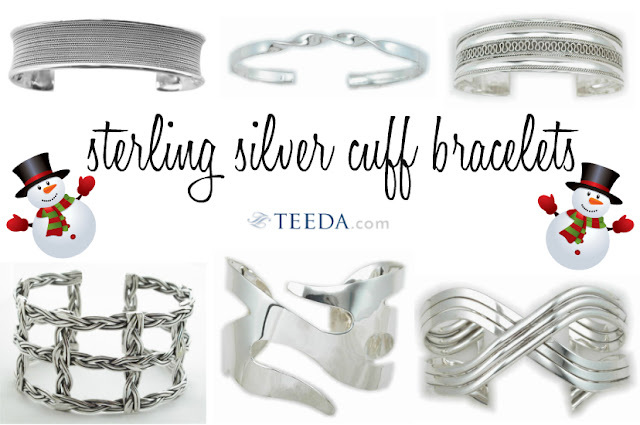 Teeda.com is an online wholesale silver jewelry retailer. The quality of their jewelry is awesome! Their prices are amazing! They're able to offer outstanding prices and great selection because they sell exclusively wholesale, in volume. Their minimum order size is $100, but you can place a smaller order (a $10 special handling fee will be added to all orders below $100). I love that they also provide international shipping and accept all forms of payment including PayPal. Teeda.com makes it easy to add a little bling to your holidays or someone elses, without breaking your bank account. Check out their website, as you're doing your holiday shopping or do a little shopping for YOUrself... wink wink wink! Amazing, unique pieces! Thank you for introducing this site to us dear! You are so right about how jewellery can be the icing on an outfit. Statement pieces like these can make a plain outfit pop! Love this post! These are all such pretty jewelry! amazing choice. Love all of them. Love all the pieces selected. Have a great weekend. I always see older ladies wearing very nice brooches, but never the younger generation. hope it becomes a thing again! What gorgeous jewelry! I have some fabulous vintage brooches that belonged to my Grandmother and Great Aunt. 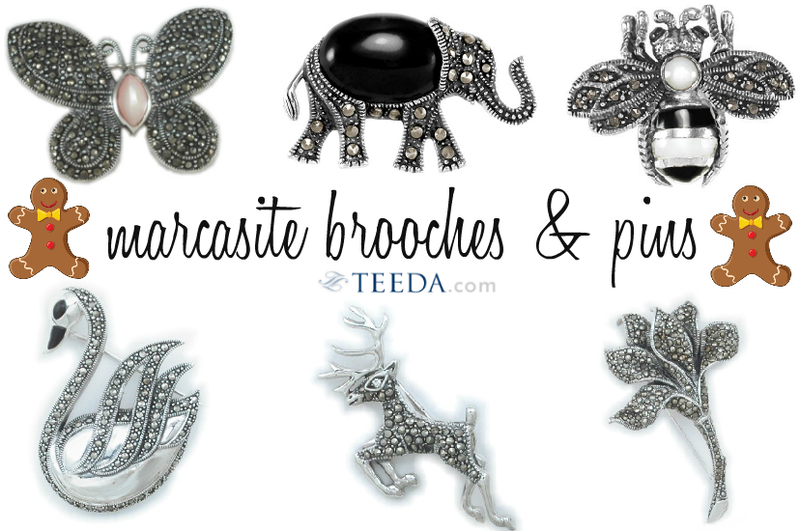 Brooches are gorgeous on a lapel! It's so interesting - after neglecting my brooches for years and years, I think I've read three blog posts this week alone about how brooches are back! I admit that I still find them difficult to wear, but there's no doubt that they are gorgeous and make wonderful gifts. The pins and brooches are amazing… specially great options now that they seem to be trending worn in clutters. Wearing jewellery adds impact on an outfit. The bracelets and brooches are lovely. I totally agree that beautiful jewelry doesn't have to be expensive Kim! Their brooch selection looks pretty fabulous! Everything looks beautiful! I especially love the elephant!! You're right Kim- jewelry completes the outfit and I never go without it! I'm not a huge jewelry person but I do like the huge selections that the website offers and international shipping? That's brilliant! I am a little tired of finding out websites that ships US or UK only, we in Canada always get left out. LOL! I love jewelry! I'm so glad that brooches are back in style now. That's such a nice and easy to pull off trend. All around great deals. I love the cuff bracelets. Happy weekend, love!!! This jewelry is so pretty. I wear a lot of jewelry and would love to own a lot of these pieces. i kinda dig brooches! something so classy about them! What a lovely online shop! I've spied already some fab treasures for me and my girlfriends. ;D Can't wait to play Santa this year, hohoho! You know how much I love jewelry, Kim! I'm going to check this website out soon. i love silver jewelry. great cuffs here.